Institute for Competitiveness (IFC), India is an international initiative centered in India, dedicated to enlarging and purposeful disseminating of the body of research and knowledge on competition and strategy, as pioneered over the last 25 years by Professor Michael Porter of the Institute for Strategy and Competitiveness at Harvard Business School. Institute for Competitiveness, India conducts and supports indigenous research, offers academic and executive courses, and provides advisory services to the Corporate and the Governments. The institute studies competition and its implications for company strategy; the competitiveness of nations, regions & cities and thus generate guidelines for businesses and those in governance; and suggests and provides solutions for socio-economic problems. 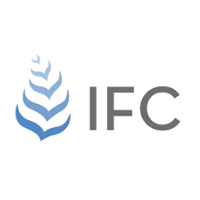 IFC manages the Shared Value Initiative in India. It is currently working with the Government of India to assess the social progress performance of 29 states and 562 districts in India. Dr. Amit Kapoor is Honorary Chairman at Institute for Competitiveness, India and Prosperity Institute of India in addition to being the President & CEO of the India Council on Competitiveness. He sits on the board of Competitiveness initiatives in Mexico, Netherlands, France & Italy in addition to being advisor to Thinkers50 and participant with the Global Solutions Network of Martin Prosperity Institute & Rotman School of Management. He is an affiliate faculty for the Microeconomics of Competitiveness & Value Based Health Care Delivery courses of Institute of Strategy and Competitiveness, Harvard Business School. He has been inducted into the Competitiveness Hall of Fame at Harvard Business School, which is administered by Institute for Strategy and Competitiveness at Harvard Business School. He chairs the jury and curates the Porter Prize in addition to curating events like National Competitiveness Forum, Thinkers 50 (India) etc. Sandeep Goyal is the CEO of Shared Value Initiative, India. HE has been working with Institute for Competitiveness, India as a faculty and research fellow since Jan 2011. He pursued his doctoral program in Strategic Management from MDI, Gurgaon. He holds MBA and B.E (Comp Sc) and is a Techno-Management Consultant having 16+ years of professional experience. He is certified in Six Sigma Black Belt, PMP, USA and IT Service Management (ITSM). His teaching areas include Strategic Management, International Marketing, International Business and Globalization. His research interests include themes related to Business Models in Emerging Markets, Social Entrepreneurship, Shared Value, Circular Economy and Sustainable Development. He has published teaching cases in Ivey Publishing and research papers across international journals like Management Decision, European Journal of Development Research, Thunderbird International Business Review, and Corporate Governance.